The Fraser Valley Hunt Club is Coming to the Coast!! Lynn and I would like to invite you to attend the Fraser Valley Hunt Opening Meet hosted by the Sunshine Coast Equestrian Club on Saturday, November 5, 2016 starting at 12:00 PM, at our home, 1498 Lockyer Rd, Roberts Creek. This is a drag scent (humane) hunt - there is no live fox. Everyone has a great time whether participating or watching. It is quite a sight to see the horses thundering after the hounds as they give voice while on the scent. We will start with a Traditional Blessing of the Hunt led by Rev. Terri Scallon with riders mounted at 12:00 PM. 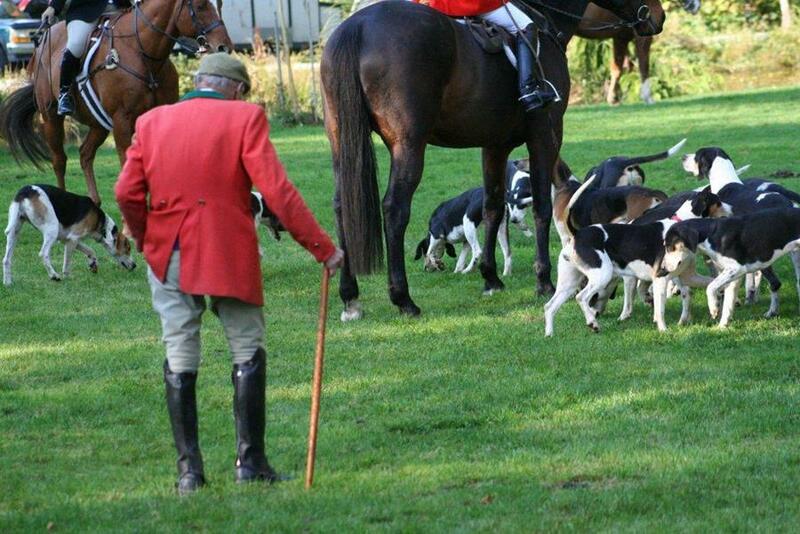 We will have a guide to bring you to areas of viewing to watch the hounds and horses pass by. If you have a horse and want to ride in the hunt, you must have Horse Council Insurance and sign a waiver. Virginia Mills organizes a Hunt Luncheon Competition so if you are not a rider but would like to participate please call Virginia at 604-885-7417 for more information. A bottle of Dom Pérignon is awarded to the best luncheon. Then while the riders enjoy their traditional feast, the non-riders can enjoy their hunt luncheons. If you need more information or directions please call or email us at 604-885-7810 or kenan@kenanmackenzie.com.We look forward to seeing you on the 5th!